Two i3 Alumns are finding success across the University of Michigan School of Information (UMSI). 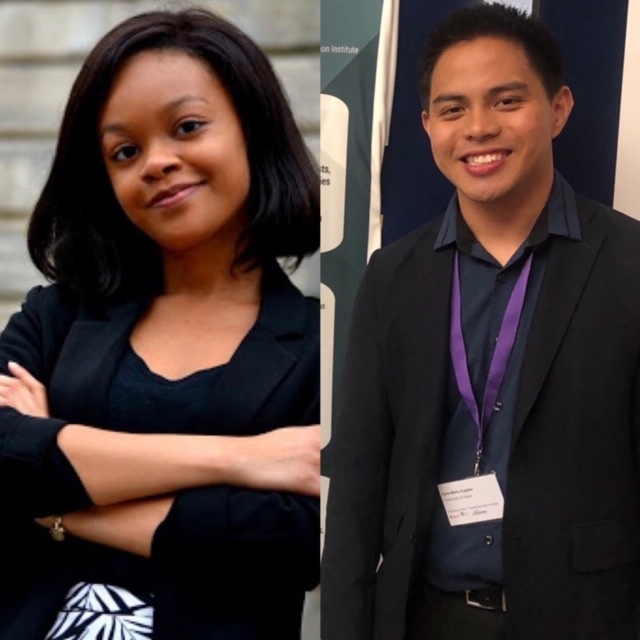 Jasmine Smith (2017 Cohort) and Carlo Sugatan (2016 Cohort) participated in the iSchool Inclusion Institute (i3) prior to enrolling in their UMSI graduate programs and reflect on the role i3 played in their journeys in this double-feature. 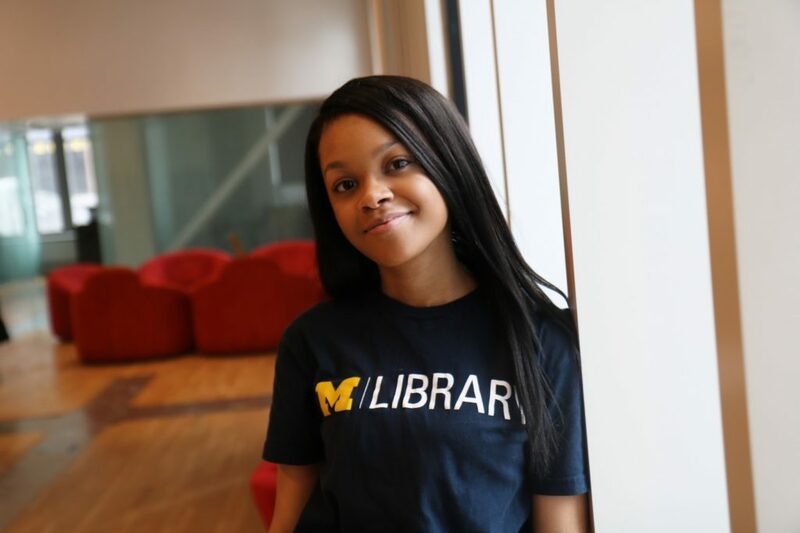 My name is Jasmine and I am a second year master’s student at the University of Michigan School of Information (UMSI). Before UMSI I graduated from Michigan State University with a bachelor’s in anthropology and minors in museum studies and ancient mediterranean studies. 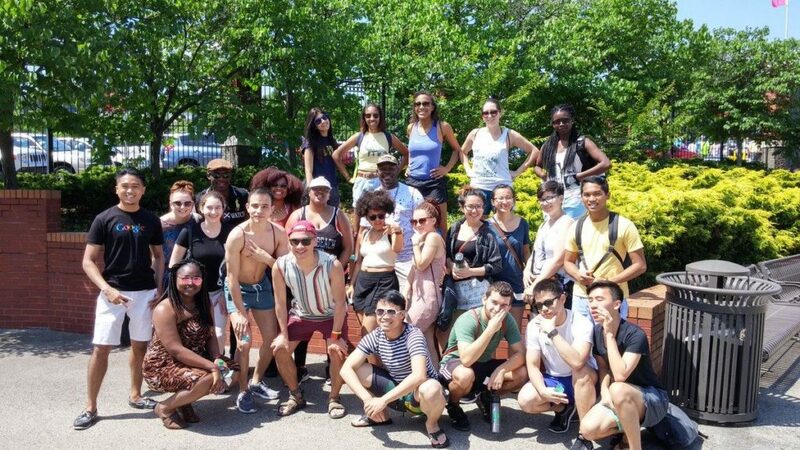 I was a part of the 2017 i3 Cohort where I worked with Team Tawantinsuyu (Elaine Gomez – Advisor) to study the use of interactive media for information retention in museum spaces. 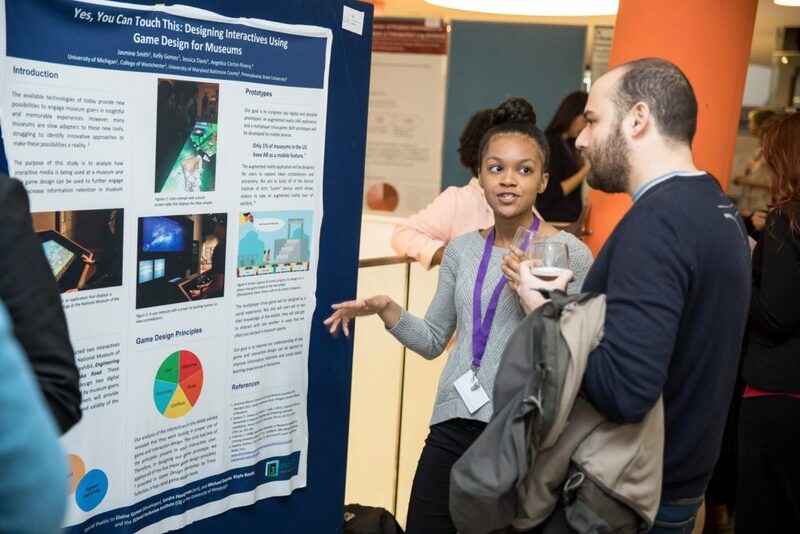 As part of this research our team designed interactive prototypes (a 2D trivia game and augmented reality application) that were based on the Great Inka Road exhibit at the Smithsonian National Museum of the American Indian, which we visited soon after leaving the i3 Introductory Institute. We were able to present our preliminary research at iConference 2018 in Sheffield, England, and will be presenting the results of our playtests at iConference 2019 in Washington D.C.
i3 was extremely important in preparing me for my graduate program. Coming from an anthropology background, I was unaware of the many opportunities and paths within the information sciences. 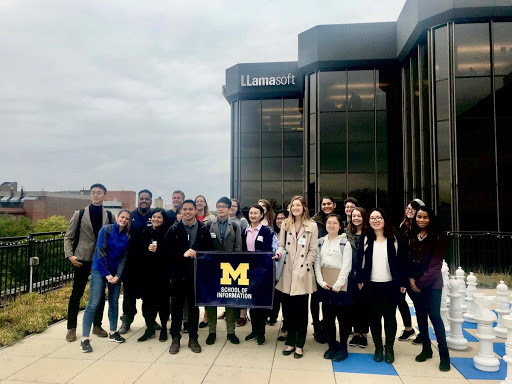 I started i3 the summer before entering my graduate program and in many ways this experience served as an in-depth orientation that prepared me for what I would learn at UMSI. From scraping Twitter data to learning about research design, i3 has helped me navigate my graduate program. However, the best aspect about my i3 experience was gaining not just a new network, but a family. Though I came into i3 alone, I left with a family of information science scholars that I will keep in contact with for the rest of my life. The mentorship and lessons I have learned from the Director, Assistant Director, and Teaching Fellows have helped me on a number of occasions with my research at UMSI, and I will always be extremely grateful for the time they took to help me become a better researcher. Currently at UMSI I work as a graduate research assistant under Dr. Elizabeth Yakel, Dean for Academic Affairs. Over the past two years of my program I have also worked in a number of library positions such as an assistant in the UM Library’s Papyrology collection, the Kresge Business Library, the Peer Information Counselor Program at the Shapiro Undergraduate Library, and in the History of Art’s Visual Resources Collection. 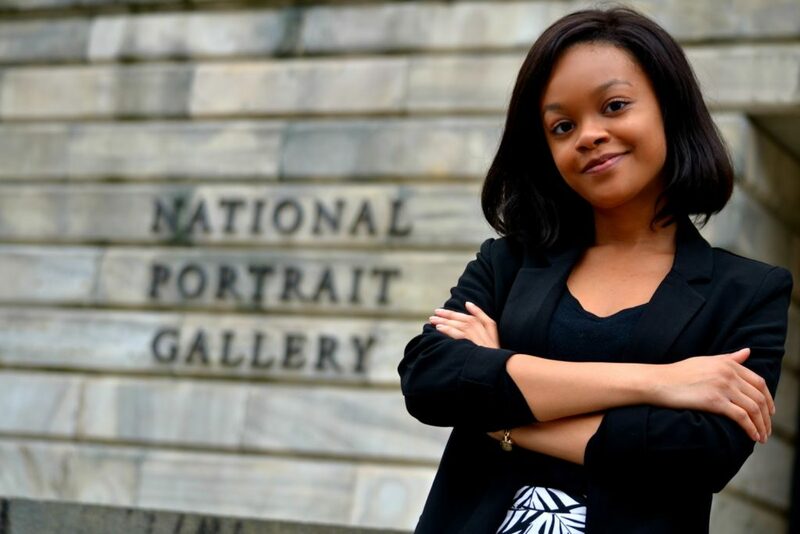 Last summer I interned with the Smithsonian Libraries and with the Smithsonian National Portrait Gallery in the fall. One of my favorite aspects about the UMSI program is the ability to work on an interdisciplinary thesis. My thesis studies the motivations and expectations for archaeologists creating a central database at an archaeological site in Egypt. I am currently working with Dr. Andrea Thomer on this research and will present preliminary findings at the Ancient Egypt New Technology Conference (Bloomington, Indiana) and the American Research Center in Egypt Annual Meeting (Washington D.C.). After UMSI I am planning to obtain a degree in Egyptology and further study the intersections of archaeology and information science within a career in museums or academia. When I was kid, I remember finding immense joy looking at every map and globe where I could find Guam. Back then, you’d be lucky to find any indication of where Guam was on the map. I would always get a good chuckle and exclaim how Guam was so tiny that they even forgot to mark it on the world map. It was amusing as a kid. Living in a small house, on a small island, it becomes frightening to face the world outside your own. I realized how small and sometimes insignificant it can feel when the place you grew up in isn’t even indicated on the map. When I turned 8, my parents bought me my first computer. That’s when I discovered that there was a world outside my own and that it was bigger than I could have ever imagined. I started dabbling with HTML, CSS, and soon with Flash and Ruby on Rails. I was heavily invested in online communities and ways I could participate in the digital world. I knew working with technology was something I wanted to do. I took a networking class in high school which made me interested pursuing a more security-focused side of technology. I continued my love for technology throughout college as I majored in computer science. Something I felt that was lacking in the field was the direct interactions with users and the social impact it had. I wanted to explore a way to somehow bridge technology and people. 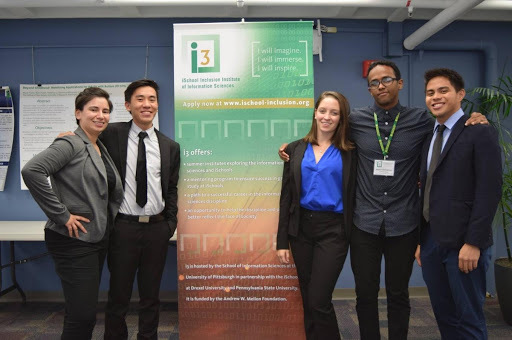 In 2016, I was selected to be an i3 Scholar for the iSchool Inclusion Institute (i3) held at the University of Pittsburgh School of Computing and Information. I was given the opportunity to conduct a yearlong research project with four other colleagues dispersed across the United States. We presented our research project in the 2017 and 2018 iConference held in Wuhan, China and Sheffield, United Kingdom, respectively. Our research examined the mobile information behaviors of ESL immigrant adults. The i3 program exposed me to the world of information and the different types of applications in healthcare, security, transportation, and environmental fields. 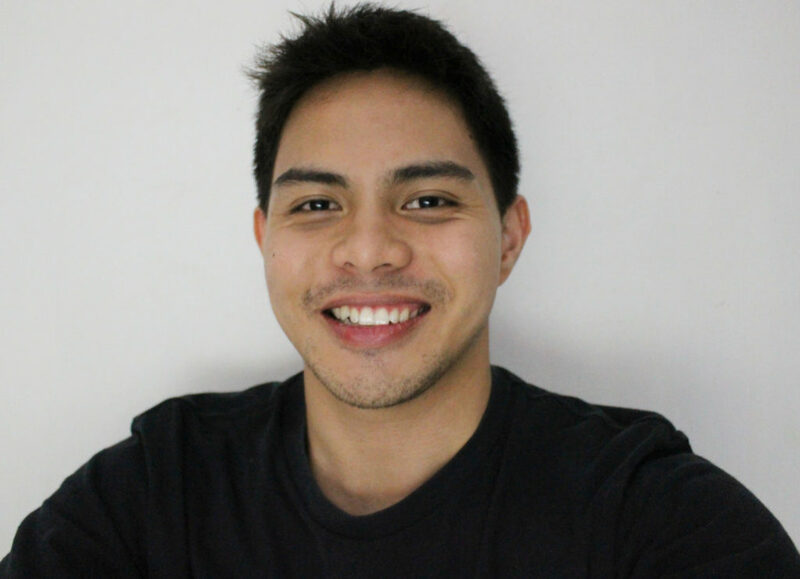 I learned a lot about user experience design and how it blends psychology, engineering, and computer science. In addition, I also met researchers working on usable security and privacy which involves a combination of UX and security+privacy. It was there that I wanted to pivot my knowledge in computer science to UX research to help build better products for people, especially those affected by the digital divide or those in marginalized populations. The i3 program gave me the opportunity to work on a research project from beginning to end in the span of a year remotely with four other team members. This was an invaluable experience which ultimately led me to wanting to pursue a graduate degree in information (human-computer interaction). I met the most passionate, kind, supportive, and smartest people from across the United States, all in one program. I owe it to the i3 program and the people who support and invest in it. It has been a catalyst to many of my academic achievements. I’m constantly inspired and driven by what the students from the program achieve. I hope to someday give back to the program. I am currently at my second semester at the University of Michigan School of Information. I am actively involved in research in usable security and privacy where I am advised by Dr. Florian Schaub. I am an organizer for the A2 Data Dive which holds technical workshops and data dives around social and civic service. This upcoming spring break, I will be in Detroit for a program called Alternative Spring Break helping the Community Housing Network create and manage a survey tool and survey database. I’m going through some interviews as I prepare for an internship over the summer. While staying warm keeps me busy, I’m also working on some personal projects such as a matching donations website for security/privacy organizations and writing articles about the digital divide. I’m still sometimes at awe that I am here. It was my first time experiencing snow and being so far away from home. Sometimes I still feel like that scared little boy on a small island looking at the vast horizon. It’s been a great year filled with courage, adventure, and intellectual growth. I’m excited to see what next steps are ahead. But really, I just miss laying under a coconut tree basking in the sun. Si Yu’os Ma’ase.